This entry was posted in Book Memes, WWW Wednesdays and tagged barry lyga, book memes, donna tartt, francesca zappia, game, kylie fornasier, linger, made you up, maggie stiefvater, magonia, maria dahvana headley, masquerade, rick yancey, the 5th wave, the goldfinch, www wednesdays by Yvo. Bookmark the permalink. 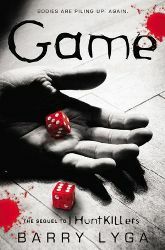 I have I Hunt Killers on my TBR and if that goes well I think I’ll have to move onto Game as well. I think you’ve convinced me to read Made You Up. The number of bloggers who love it now outnumber those who didn’t enjoy it so much! I really want to read I Hunt Killers! It seems soo good. Same goes for Made You Up! I have half a mind to pick it up right at this moment. XD My WWW if you want to check it out. Yay! That’s great to hear. I hope so too! Yay, I’m glad to see you liked Made You Up! Now I really can’t wait to read it! I loved Shiver SO much, but fizzled out on the rest of the series and didn’t even make it to the third book. I think the time in between releases really screws with my head, and I’m over the story when books finally come out. Kinda a bummer, but oh well. 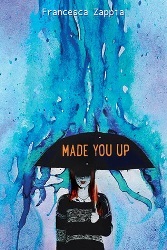 Made You Up is such a good read; the fact that the main character is schizophrenic makes it extra interesting. I wasn’t a huge fan of Shiver, but then again I’m not really into romance. I’m not really convinced by this series in general, but since I already have a copy of Forever I will probably read it anyway. I guess that’s the advantage of starting a series when all books are already published… I tend to lose interest in a sequel as well if the wait is too long. 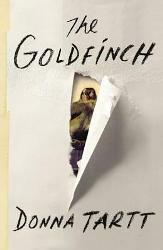 The Goldfinch is awesome once you really get into the story. It’s REALLY long, but don’t worry- it’s totally worth it! Interesting to read your thoughts on Linger! 🙂 I wasn’t overly impressed with Shiver. I wasn’t impressed by Shiver either, and Linger is not much better. For a book about werewolves it is actually quite boring and it’s mostly about the relationship between Grace and Sam… Not exactly what I was expecting. Haha so far it’s a good read, but I’m only about 10% into the story… It looks promising though. I hope you can get back into The Goldfinch again. I’ve heard great things! Happy reading and thanks for participating in WWW Wednesday! I hope you start liking The 5th Wave more! I liked the second book in the series better though. 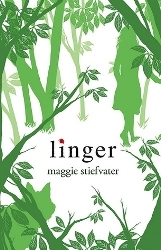 I also liked Linger better than Shiver. I can’t wait for you to read Game! 🙂 it’s pretty crazy! 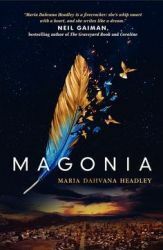 I really want to read Magonia ASAP! I Hunt Killers was so good. I actually met Barry Lyga when I bought that book and he signed it! I still need to read Game and Blood of my Blood. Can’t wait to see what you think about Game. That’s so cool! He is a great author and I’m definitely looking forward to start reading Game. I’m still toying with the idea of reading The Goldfinch. Sounds very very interesting but it’s such a good book. Anyways, Happy reading!